The upcoming Asus phones namely Asus Zenfone Max M2 and Max Pro (M2) have been spotted on separate Geekbench listings today. The model numbers of the Zenfone Max Pro M2 are ZB631KL, ASUS_X01BD and ASUS_X01BDA. The release date of this phone in Indonesia was set as December 11 and it’s going to be released on the same day in India too. The Max Pro M2 has slightly superior scores on Geekbench when compared with Max M2. The multi core score of Max M2 Pro is 5549 points whereas that of Max M2 is 4791. The single core score of Max M2 Pro is 1481 points whereas that of Max M2 is 1255. Earlier in the day, some of the specs of this phone were leaked online, thanks to a Flipkart listing clearly indicated that this phone will have the latest Corning Gorilla Glass 6 protected screen which can withstand a vertical drop from a height of 1 meter. Here’s the short video clipping which was released. Do not attempt this as home. Unless you have a Zenfone Max Pro M2, of course. 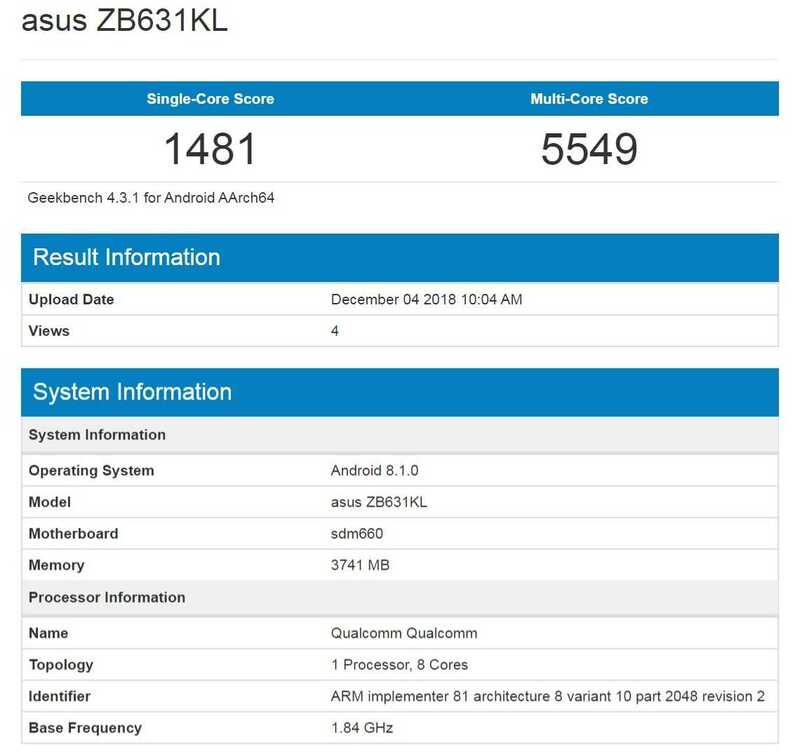 The Geekbench listing hints at 4GB RAM and Snapdragon 625 (MSM8953) octa core processor which clocks at 1.8 GHz. The model numbers of the Zenfone Max Pro M2 are ZB633KL and ASUS_X01AD. As of now, the release date of Max M2 phone is still under the wraps.